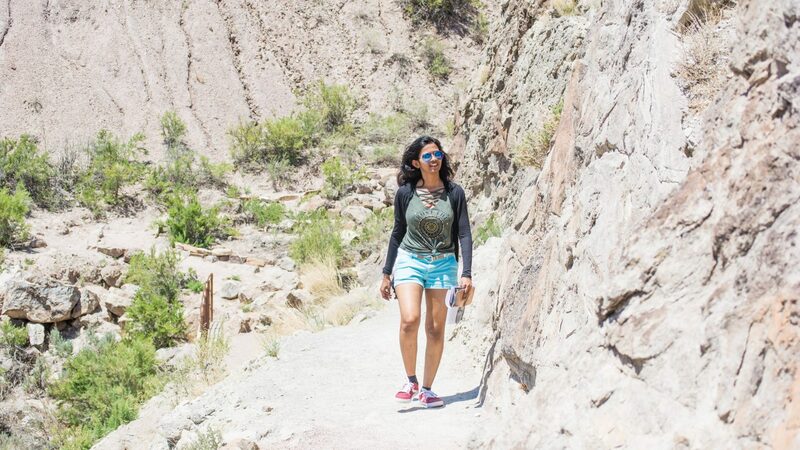 Imagine waking up to the sound of birds chirping, that fresh crisp morning air and opening your RV door to pure nature with absolutely no one around! 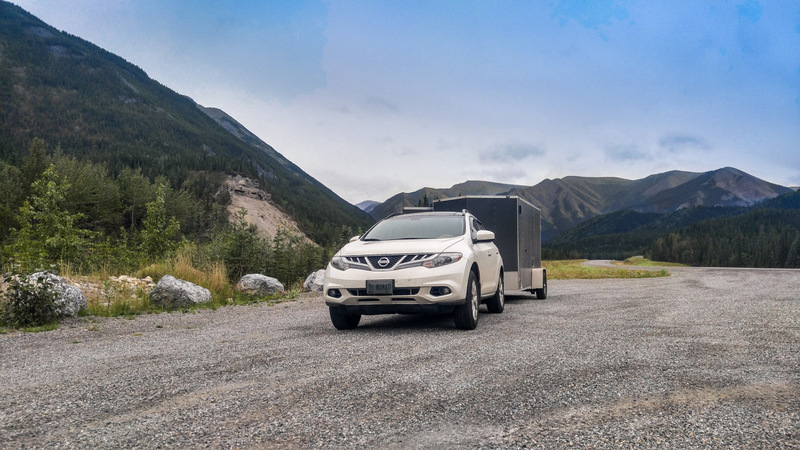 This is what you can experience in the remote stretches of the ALCAN highway. 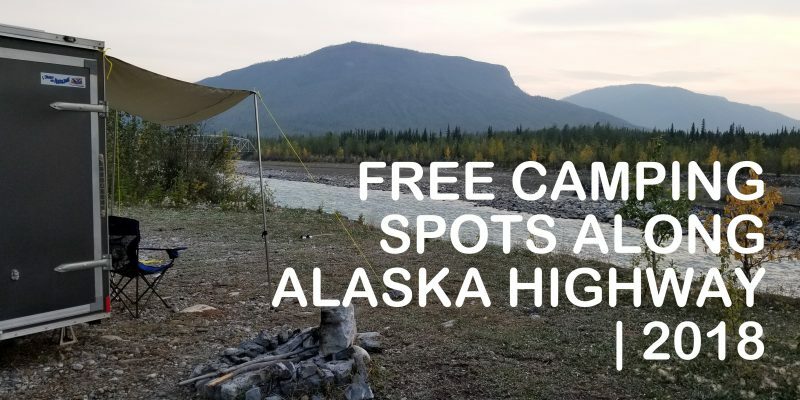 There are an abundant number of free camping spots along Alaska Highway. 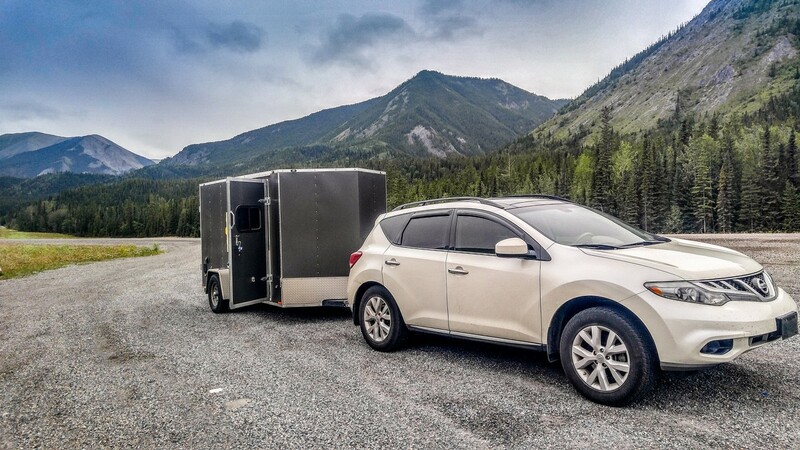 This is especially useful for those of us who are on a budget and travelling in a RV/trailer. 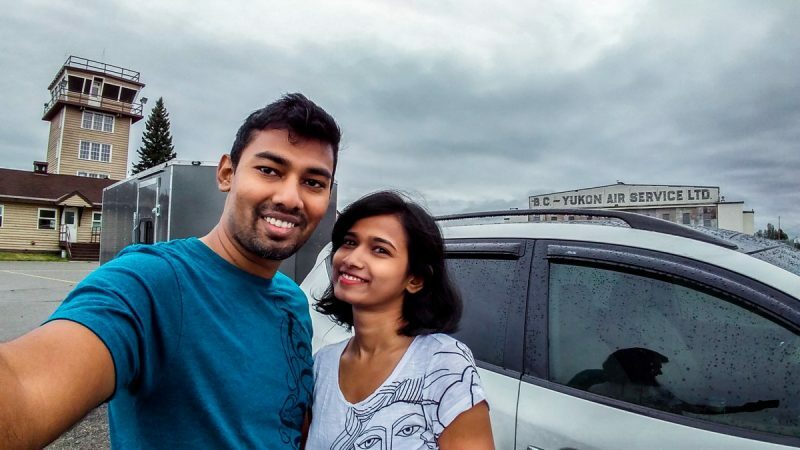 There are several turn outs/rest areas along the highway and we have listed few our favorite ones. 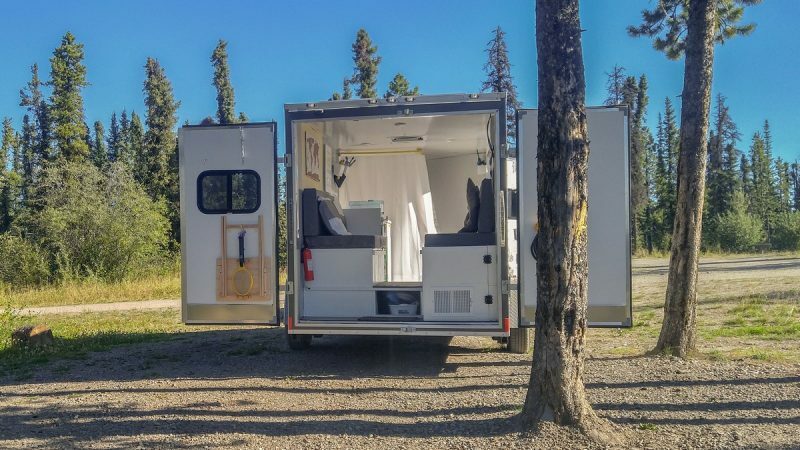 This is a very gorgeous free overnight campspot on the Canadian Rocky mountain a few miles south of Liard River in British Columbia. Though this site is right next to the highway, the traffic was very scarce, especially in the night. 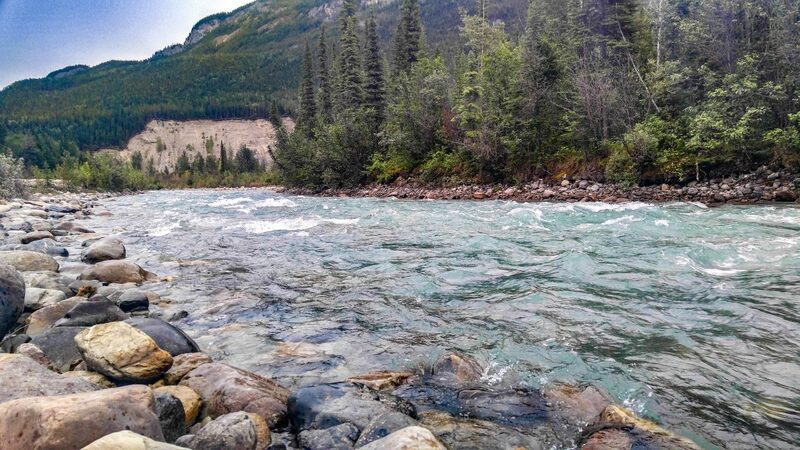 On the other side is the Trout River, which has the most clear turquoise color water. We had a peaceful sleep listening to the sound of the flowing river. This site is a little bit of a drive from the highway (3 miles on a gravel road), but it is a very beautiful and secluded campground. And to top it all off, it is absolutely free and fairly unknown to the public. There are atleast 10 campsite, a couple of pit toilets and a picnic shelter. Nobody was camping at this spot when we were there. 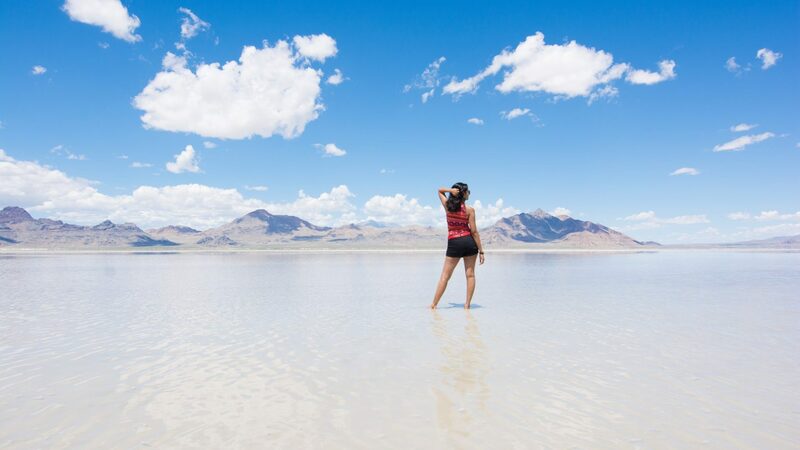 The Duhu Lake is located behind the campground and it also has a boat launch site. There is no signpost for the campsite or the lake on Alaska Highway and we had a little bit of challenge in finding it. It should be easier with the GPS location listed above. Also the last 300 meters to the campground is very rough with deep potholes. High clearance vehicle should be fine though. 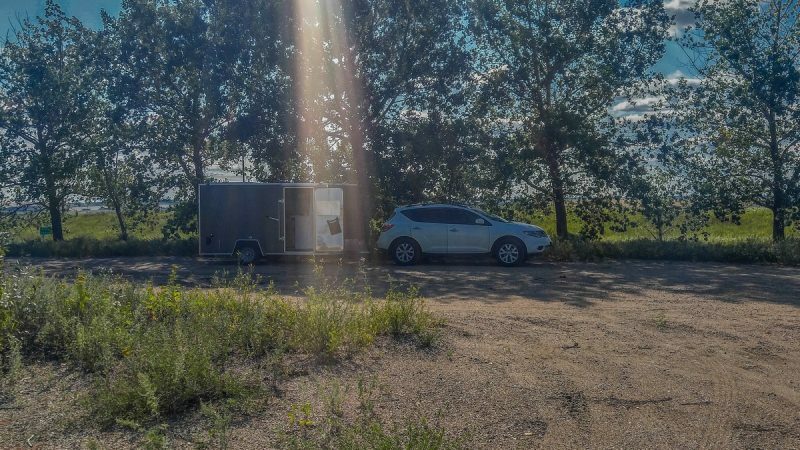 While we were at Dawson Creek, we were searching for free campsites along the way. To our surprise, we found an airport! Yes, you can boondock at the Watson Lake airport. This is a fully functional airport. 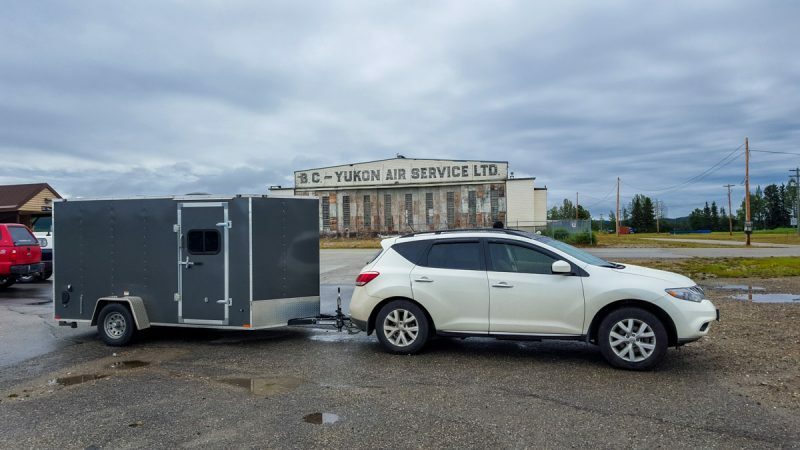 The only choice of destination is Whitehorse, Yukon which is 275 miles (440 kms) from Watson Lake. The service is provided twice a week. Needless to say, it is not a busy terminal. On our 1 night stay, it was pretty quite and we were the only people camping out there. The airport has clean restrooms which was very convenient. There are a few dedicated free camping spots near the lake. Unfortunately, we arrived after dark and we were not able to navigate our way around since it had rained pretty badly. Far end corner of Airport’s parking lot was more than enough for us! This is a free overnight parking wayside near the village of Teslin, Yukon. The view from this rest stop is absolutely amazing. There is a small gazebo and a couple of pit toilets. We found this spot by accident when we were on the Trans-Canada highway looking for a rest area to stop and cook our lunch. This was basically a truck stop with gas station which also included a restaurant. But we found a little more secluded spot on top of the small hill. There was also a Class A RV parked in this location. We were there only for few hours and did not boondock here for the night. But this should be a good overnight camping spot. Update! 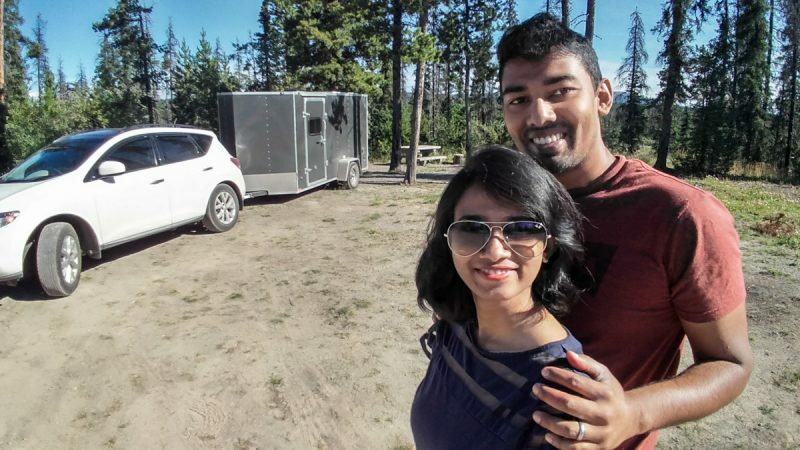 We took a roadtrip again in 2018 through the Alaska highway and happened to find few more beautiful free camping spots. Click below. Below spots are not on the Alaska Highway, but on the Dalton Highway! 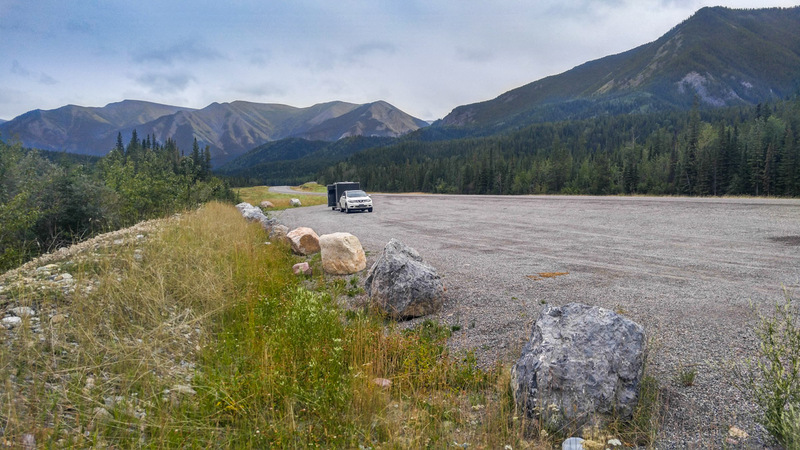 This is a huge overnight parking area on the Dalton Highway. It has a pit toilet and plenty of parking space and the view from here is amazing. 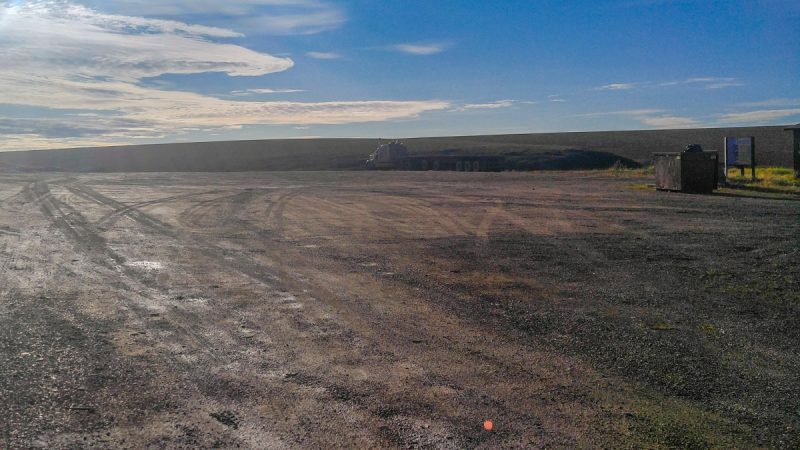 As the name conveys, this is the last rest stop before Deadhorse – the end of Dalton Highway. Hotels at Deadhorse, Alaska are very expensive. 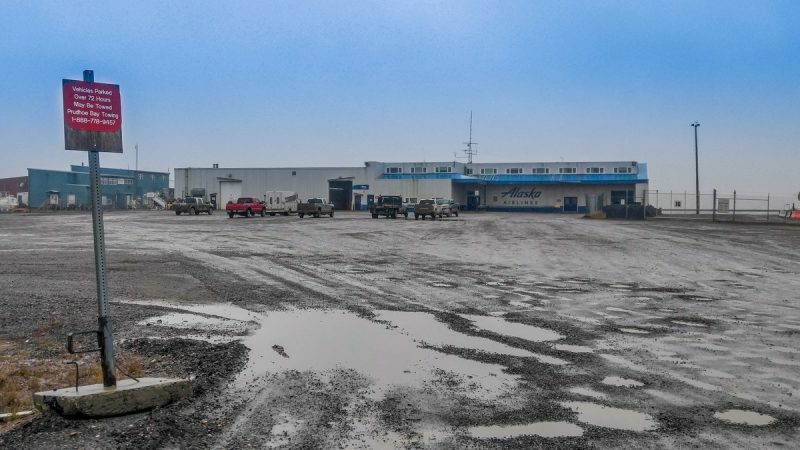 We paid $260 for a night at the Prudhoe Bay Hotel (located opposite to the airport). 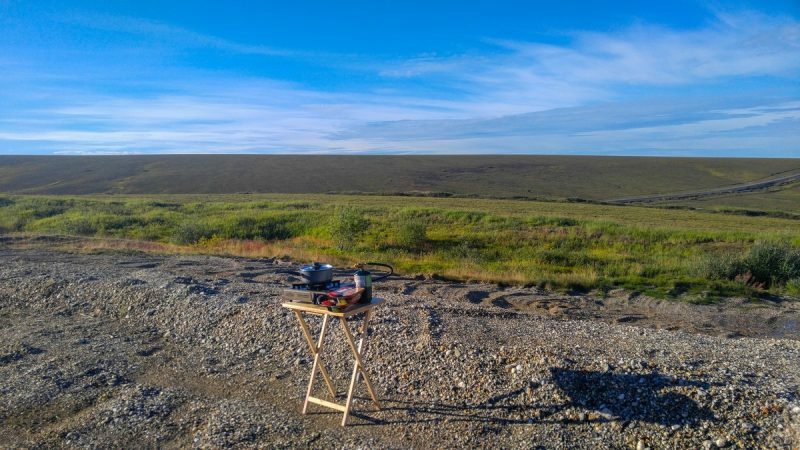 Read our Dalton Highway blog for more info – Driving The Famous Dalton Highway In Alaska. 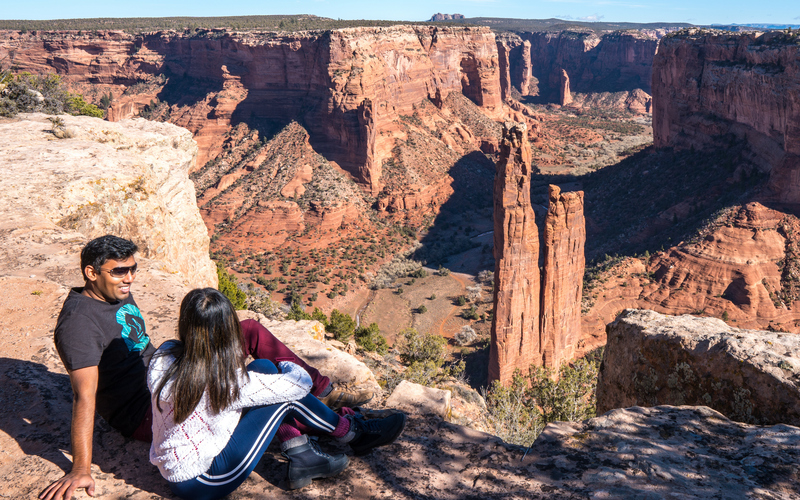 Though we did not camp out here, any tourists visiting Deadhorse can safely boondock here – as long as you leave within 72 hours. We also boondocked at a few Walmarts on the way. Most of the Walmarts on Canada lets you to park overnight. We did not have any issues at Estevan, SK and Whitehorse, Yukon. Surprisingly, the Walmart at Anchorage does not permit overnight parking. Thankfully, Cabela came to our rescue which has a dedicated RV parking space along with RV dump area. We spent 2 nights at Cable on our way to Seward. Read about it here – Where Mountains, Ice, And Ocean Meet | Kenai Peninsula. 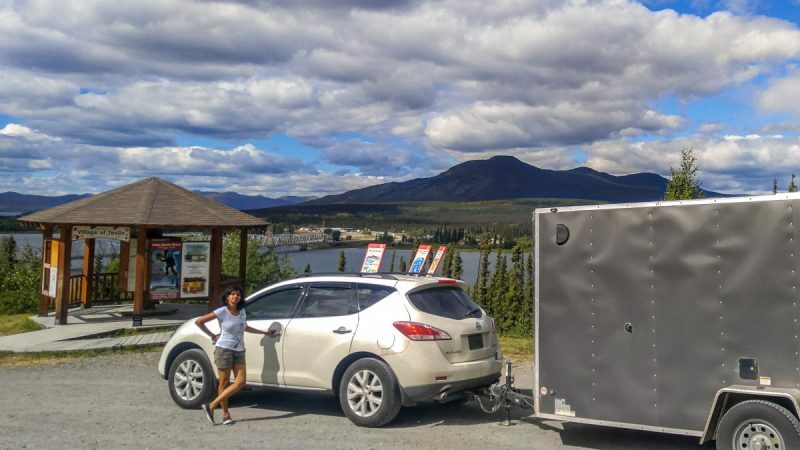 What are your favorite boondocking spots along the Alaska Highway? Let us know on the comments below! whoah this blog is great i love studying your posts. Stay up the great work! You understand, many persons are searching round for this info, you could aid them greatly.